Agave nectar and a maple syrup custard enhance and enrich natural pineapple sweetness in this cake. Who needs refined sugar? For this recipe you will need a deep 30x20cm/12x8in baking tin. For the cake, preheat the oven to 170C/150C Fan/Gas 3. Grease a deep 30x20cm/12x8in baking tin and line the base and sides with baking parchment. Set aside. Spread 2 tablespoons of the agave nectar over the base of the tin using the back of the spoon. Arrange the pineapple rings in the tin. Fill the rings of the pineapple with the cherries. Sift the flour and salt into a bowl. Make a well in the middle and add the melted butter, agave nectar and lightly beaten eggs. Fold the mixture together gently. Carefully pour the cake mixture over the prepared pineapples and cherries, easing with the back of the spoon and being careful not to dislodge the arranged fruit. 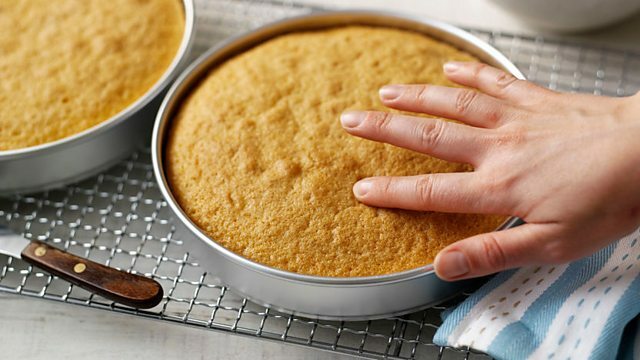 Smooth the top and bake for 35-40 minutes, or until a wooden skewer inserted into the cake comes out clean. Allow the tin to cool on a wire rack for 5 minutes, then gently turn out of the tin onto the rack to cool completely. Carefully peel the parchment paper off and drizzle with the remaining agave nectar. For the maple syrup custard sauce, put the milk, maple syrup, vanilla extract and vanilla seeds in a medium saucepan and bring to almost boiling point. Beat the egg yolks and cornflour in a bowl until smooth. 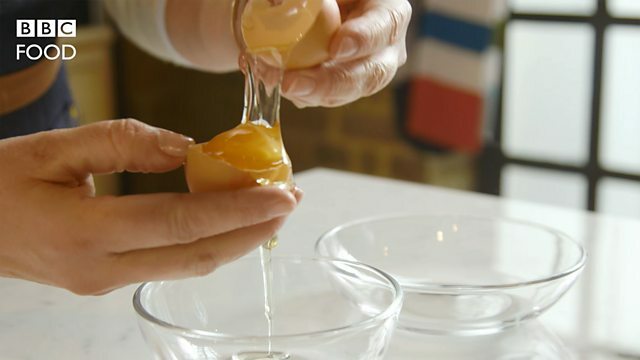 Temper the egg yolks gently by adding a ladle of the milk mixture at a time to raise the temperature of the eggs. Pour the remaining milk over the eggs, then pour the mixture back into the pan and return to a medium heat, stirring constantly until it thickens and covers the back of the spoon. Remove from the heat and transfer to a jug, cover with cling film to prevent the skin from forming. Serve slices of the cake with the custard poured over.